Dedication Opportunities IMPORTANT: As we celebrate the completion of construction, and the opening of our expanded 90,000 sq. ft. Chabad House, please take a moment to 'check out' our Building Dedication Opportunities. Think of dedicating the proper item in honor of or in memory of a beloved family member. 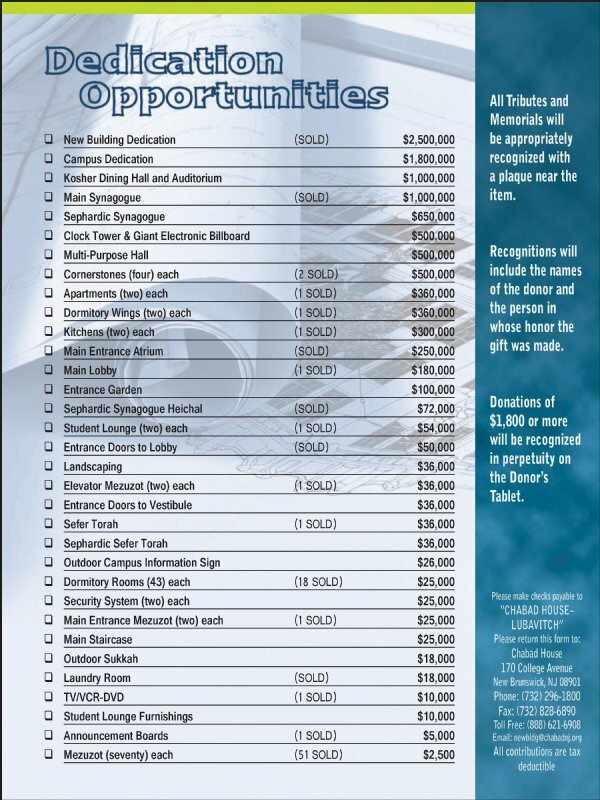 You may call Rabbi Yosef Carlebach at 732-296-1800 for a private meeting to discuss your gift. Please help us as we open the largest Chabad House in the world!!! We look forward to your friendship and support. Thank You!